Whether it’s serving at a food kitchen, Meals on Wheels, helping out with our four-legged friends, or visiting with others who need a smiling face, congregants learned how they, along with their families, could make a difference by volunteering their time. Mission: To feed hungry individuals in an atmosphere of warmth, comfort and graciousness. Volunteer activities: cooking, serving, clean-up, and musical entertainment. Volunteer activities appropriate for: adults, teen, groups, and families. Mission: JCC’s Ambassador Corps is for those who are dedicated to supporting Jewish communal life through the Jewish Community Centers of Chicago. Volunteer activities: assisting in the baby-sitting room, fitness center, front office, school vacation programs for children, and the children’s library. Volunteer activities include: food delivery, cooking and preparation, tutoring, mentoring, donation pick-ups. Volunteer activities appropriate for: adults, teens (13+ for cooking shifts), children (all ages for delivery), groups, and families. Volunteer activities include: organizing medicines and clothing to pack boxes; letter writing. Volunteer activities appropriate for: adults and teens. Mission: Educating and mobilizing people of faith to support low-wage workers’ struggles for justice in the workplace. Volunteer activities: promoting, publicizing and attending prayer vigils, delegations and rallies. Help with office tasks. Lead discussions on economic and worker justice. Volunteer activities appropriate for: adults, teens, children, groups, and families. Mission: Provide quality lifetime supports and services, which empower people with disabilities to participate fully in all areas of community life. Volunteer activities: Direct service with participants, fundraising, teaching skills, clerical, and more. Volunteer activities appropriate for: adults, teens (limited), groups, and families (limited). Mission: Run sports and recreation programs for physically and visually impaired people. Volunteer activities appropriate for: adults, teens (16+), groups, and families. Volunteer activities: citizenship teachers (Skokie), practice interviewers, bilingual (Russian-English) tutors, volunteer at citizenship workshops. Mission: Provide health, recreational, cultural, educational, and counseling services to the City’s senior population. Serve as a resource and advocate in areas of importance to the well being of the senior community, with primary attention given to transportation, housing and personal safety. Volunteer activities: Friendly Visitor program, Telephone Reassurance program, Senior Health Insurance Program (SHIP), Kid Courier. Volunteer activities appropriate for: adults and teens (12+). Mission: Remembrance of the Holocaust and the furtherance of education about that tragic period and its aftermath. Primary goal is to enhance awareness of the universal lessons of the Holocaust by teaching the consequences of hatred and prejudice. Volunteer activities: library, archival, museum docent, and general office. Volunteer activities appropriate for: adults, teens, groups, and families. Mission: To promote the humane treatment of hooved animals through education, legislation, investigation and intervention. Volunteer activities: Becoming a member and taking care of cleaning up after the animals. Volunteer activities: appropriate for: adults and teens. Mission: To provide child centered and family focused services for abused, neglected, developmentally disabled, and emotionally disturbed children. Volunteer activities: Mentoring, tutoring and childcare. Mission: To provide emotional and practical support to families. Volunteer activities: Drive clients to appointments, help with mailings and childcare. Volunteer activities appropriate for: adults and families. Mission: Bring warmth, Jewish activities and Yiddishkeit to Jewish prisoners. Volunteer activities: Visit Jewish prisoners and celebrate holidays with them. Mission: Provides educational and vocational services to individuals with developmental disabilities between the ages of 5-21. Volunteer activities: Help at special events and Sunday school. Volunteer activities appropriate for: Adults, families and groups. Mission: Provide social services for victims of sexual abuse and assault. Volunteer activities: Medical advocacy, court advocacy, prevention work with schools and kids, working the Hotline, administration. Volunteer activities appropriate for: adults and teens (18+). Mission: To empower homeless women and their children to achieve independent living. Volunteer activities: Women’s auxiliary, board and committee membership for governance and fundraising; tutoring and teaching mentoring skills; driving, grocery shopping, office duties. Mission: Empower people with developmental disabilities to lead personally fulfilling lives. Volunteer activities: Events, administration, thrift shop, restaurant, farmyard (seasonal). Volunteer activities appropriate for: adults, teen, families, and groups. Mission: Empowers young people top take responsibility for their health, well-being and sexuality through education and prevention. Volunteer activities: Community education presenter; clinic support worker; Pride Program group facilitator; mentor to a teen mom; youth Board member. Mission: Friday morning visits at Northwestern Memorial Hospital to wish Jewish patients a good Shabbos. 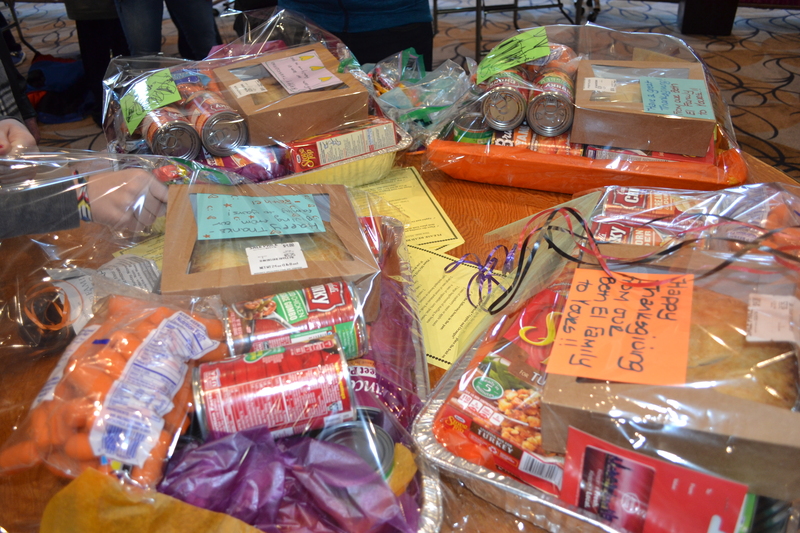 Volunteer activities: Help pack Shabbos baskets and visit patients. Mission: Provide resources to improve the quality of living of the culturally diverse Round Lake area. Volunteer activities: Homework help and tutoring. Mission: Twice yearly (Passover and Rosh Hashanah) delivery of food to Chicagoland’s needy and elderly. Volunteer activities: Pre-event assembly, packaging and day-of assembly and delivery of food. Mission: Support individuals with developmental disabilities in maximizing their independence and self-determination. Promote development of family and community support, community awareness, education, and advocacy. Volunteer activities: Candy Days, and Family Fest; “regular” commitments for breakfast and brunches, bakery help, flea market, thrift shop, and Thursday sports. Mission: Provides outreach, counseling and medical services to teens and their families. Volunteer activities: Teen leadership groups; Board members (Lay Response Council). Mission: Counseling Jewish abused women and educating the community about domestic violence in Jewish homes. Mission: Provide volunteers to people in the community who are vulnerable in their homes. Volunteer activities: Respite care, shopping, driving people to appointments, and socialization. Volunteer activities appropriate for: adults and teens who drive. Mission: Provide comprehensive services for the physical, emotional and spiritual well being of those in need. Volunteer activities: Home visits; food delivery; food pantry participation; mentoring; medical, dental and legal services; serving at a soup kitchen. Volunteer activities appropriate for: adults, teens, children, families, and groups. Mission: Provide skill development and social enrichment for people with developmental disabilities. Volunteer activities appropriate for: adults and teens (15+). Mission: Link volunteers with volunteer opportunities in the Greater Chicagoland community. Mission: Provide childcare services for children whose parents struggle to make ends meet. Volunteer activities: Reading and playing with children at the center; assisting teachers. Mission: Promote and encourage volunteerism in schools and the community. Volunteer activities: Fill special one-time and on-going requests from teachers; referral to community agencies. Volunteer activities appropriate for: adults, teens and some family activities. Mission: Provide and maintain physical, social and emotional well being of the residents/clients through structured, supervised, recreational, and assisted living. Volunteer activities: Bingo; manicures; group discussions; assist with outings and art activities; perform music, friendly visits. Mission: Support global network of programs and resource centers that provide vocational and technological education for Jewish students, fostering skills necessary to achieving economic self-sufficiency. Volunteer activities: Assist with school programs and events.